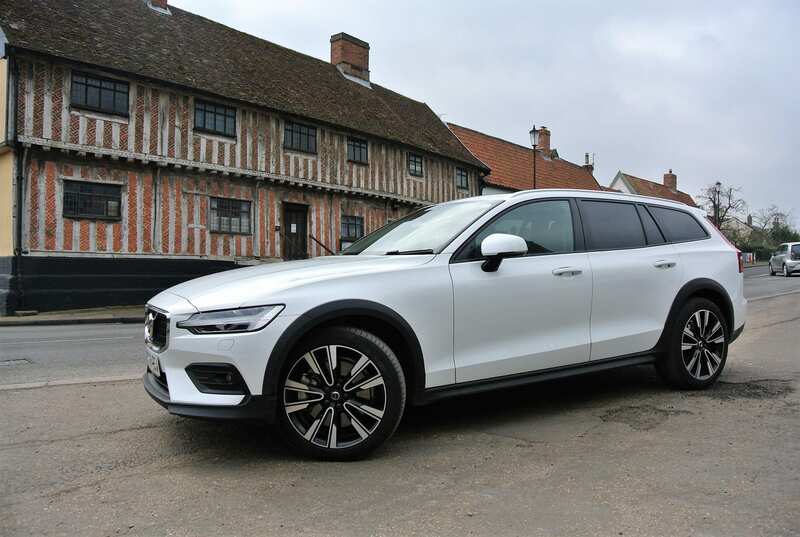 It is a slow burn but Volvo, a carmaker that seldom performs by convention, continues to add to its growing model portfolio, reports Iain Robertson, as tests the all-new Cross Country estate car by driving all around a Suffolk country estate. Reward is a meritorious means of engaging with the consumer. Bite into a Mars Bar and its unctuous bounty (sic.) is clear, even though today’s major confectionary line is significantly smaller than it was, when I were a lad! Polish your car with AutoGlym and the consistently glistening end-result underscores your choice. Drive a Volvo and every sense, including taste, is tapped into with notorious tactility. 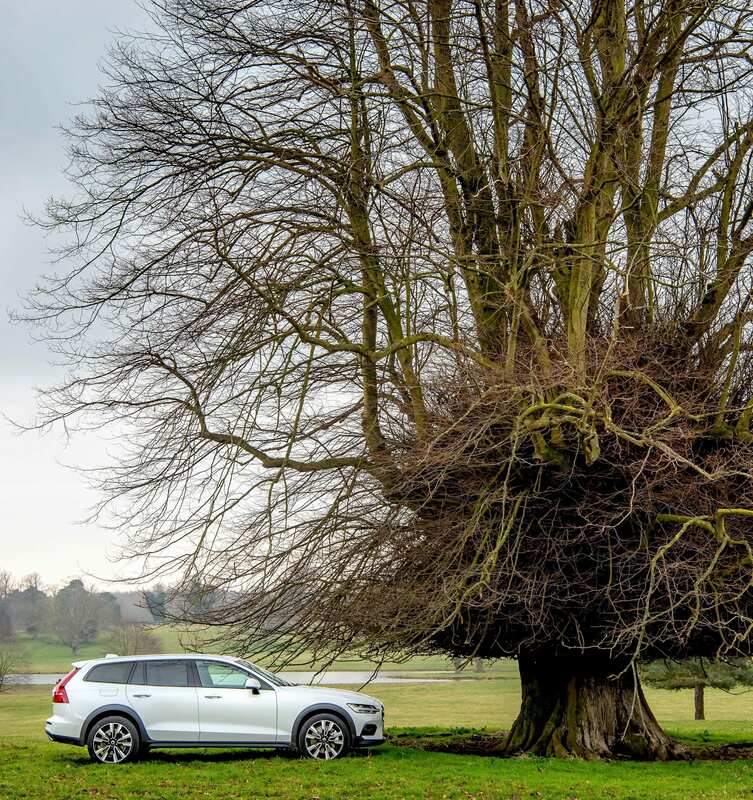 Somehow, which is probably the key logic behind Volvo Cars UK selecting the utterly gorgeous Wilderness Reserve, on Suffolk’s Sibton Estate (which belongs to estate agent, John Foxton), as its wildly cliched launch location, the latest V60 Cross Country (XC for short) fits rather well. Whether you are the land owner, or the privileged few, usually from London, or the monied members of the glitterati, whom rent its bounteous facilities all-year round (clearly, we had a ‘slot’), this is an ideal machine for bounding across softly contoured fields, or even negotiating its Capability Brown woodlands. 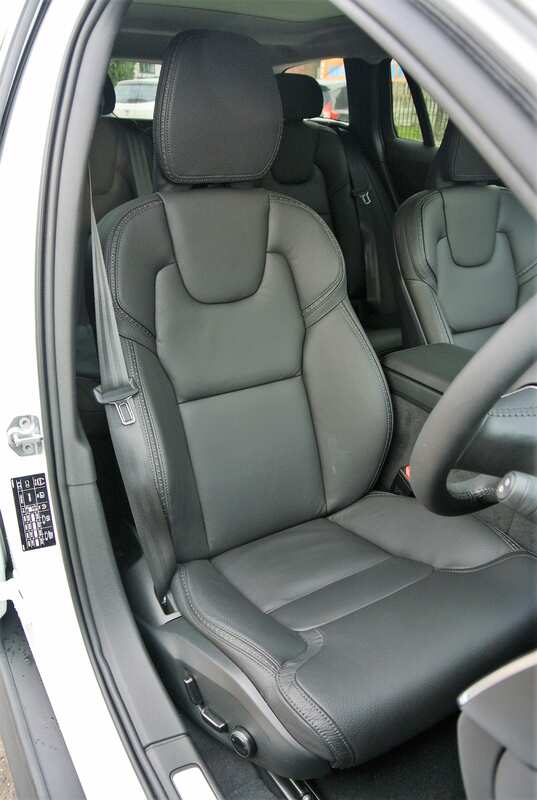 Trust me, while 99.9% of owners will never take their V60XC off-road, after 90-minutes of ‘yomping’ and sheep avoidance, proof positive was provided in the car’s outstanding multi-surface competence. However, before you become confused by the Sino-Swedish firm’s model nomenclature, allow me to attempt an explanation. Place XC in front of the Volvo model number and you create an SUV. Place the XC after the number and you result in an off-road capable but on-road prodigious 4×4 estate car. The latest V60 model line-up (we have had the estate car since late last summer; the saloon arrives this late-spring) is almost complete. Apart from the R-Design variant, which is subjected to a forthcoming separate test story, the load-lugging, multi-surface, family car is now available in all its glory. Powered by the D4, 190bhp version of Volvo’s uniquely attractive, 2.0-litre modular engine, which develops a modest 295lbs ft of torque and drives all four wheels through an 8-speed automatic transmission, I would venture to suggest that it is an ‘everyman’ Volvo. Okay. As tested, it is priced at a whopping £50,915 (list, pre-discount), which includes £12,645’s worth of extras that ‘you just cannot live without’, such as a heated steering wheel-rim, advanced connectivity (fancy hi-fi and smartphone integration), optional 19.0-diameter alloys and a spare wheel, with jack, but, if you have the money, it is kind of worth it. It is a driver-flattering machine that all the bling in Volvo’s extensive goodies catalogue cannot disguise. 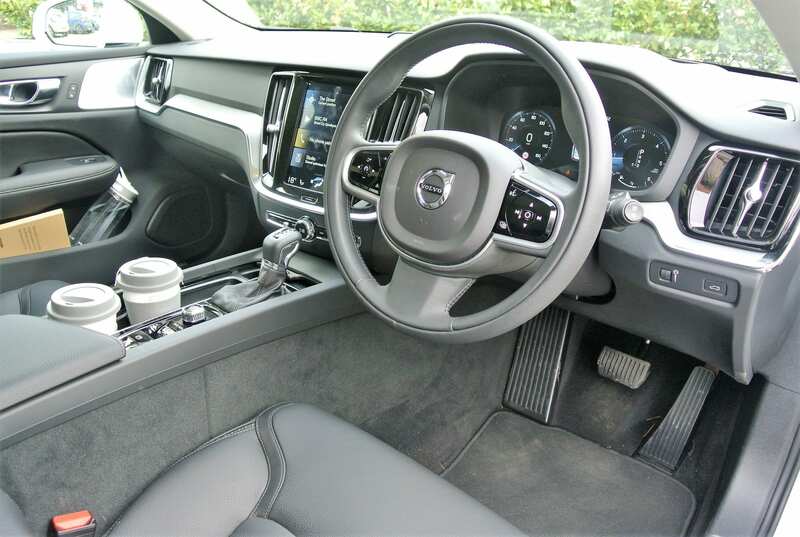 To be fair, its standard specification is very comprehensive, including the Volvo-signature portrait touch-screen, sat-nav, City Safety, Oncoming Lane Mitigation, Run-off-Road Protection, LED lamps fore and aft, hill-start, climate and cruise. Wise money says: choose the options carefully. What makes this car a ‘winner’ lies in its cosseting comfort and phenomenal on and off-road prowess. Supported by competent damping and an instantly reactive 4×4 system, abundant traction, even on moist grass, is never an issue. Its hill-climbing and descending capabilities are equally impressive and an all-pervading aura of Volvo’s safety hands permeates every off-road mile. Passing a pastel palette of salmon pink, mustard yellow, minty green and sublime blue stuccoed properties dotted along the picturesque roads of Suffolk (I really need to travel more!) and its delightful ‘Heritage Coast’, V60XC hikes up its skirts, despatches 0-60mph in 7.9s and, given a German-like autobahn, would bounce off 130mph at the top-end. It musters the commensurate amount of verve that Suffolk’s charming lanes allow, while enabling speedy overtakes and engaging on-road manners on the few main roads that cross the county. 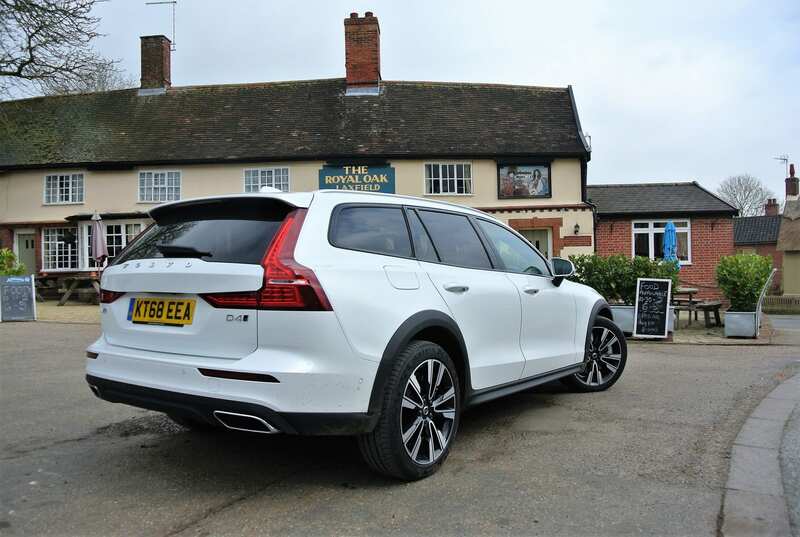 Delivering a silken, progressive and refined power delivery, the V60XC is the executive wagon par excellence, capable of large mileage consumption at up to 47.9mpg (WLTP), conducted in a leggy, loping style. Mention of which leads to its eminently stylish street presence. 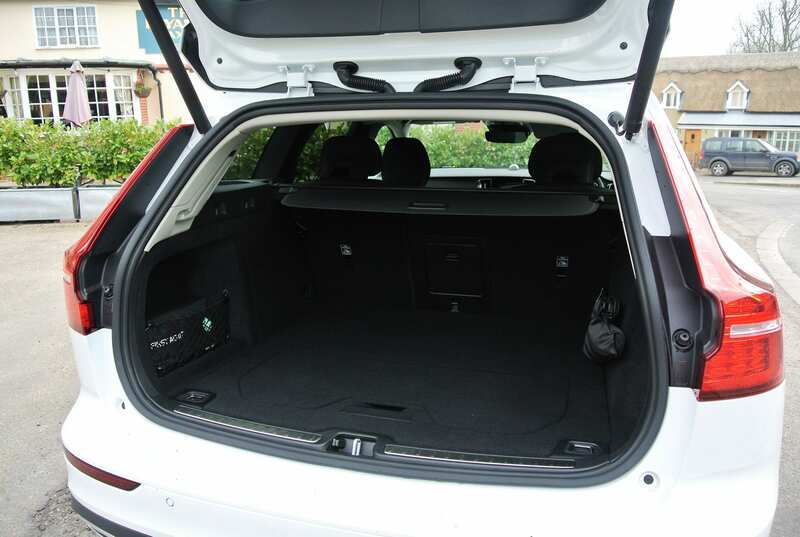 It is not as long as a V90 but its luggage bay, extendible of course by folding the split rear bench, is cavernous. 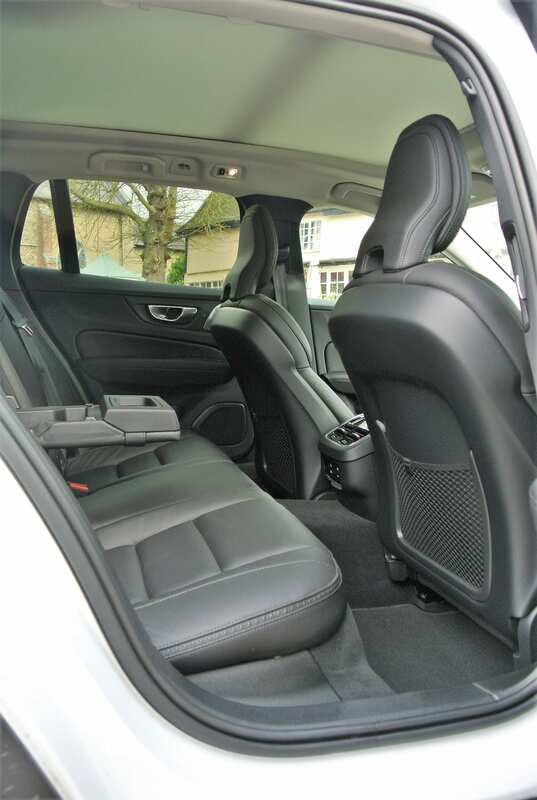 Its interior is beautifully decked out, in full Nappa hide, with machined alloy trim detailing. No single element seems out of place and there is plenty of in-car slots for paraphernalia, while the car feels as well tailored as the finest Savile Row suit, further underscoring its business-like potential. The digital instrument display is as clear as day and, apart from a tendency for the heel of my right hand to skim annoyingly the steering wheel spoke-located radio channel-changer, with every other twirl of the tiller, it is a fault-free design. If anything, it is the unerringly high-quality of the fixtures and fittings that resides most happily with the Volvo driver. The beautifully knurled start/stop switch and the chassis mode ‘roller’ just behind it are tactile delights. However, I would defy any person first slipping into the car’s accommodating seats not to touch the door cards, the real metal fillets, the relevant switchgear, as they also appeal to the critical eye. Externally, it casts a purposeful shape, with hints of the ‘Horbury shoulders’, upright LED rear lamp arrays and the latest Volvo corporate snout. However, it is a seriously ingenious design, particularly around the flow of the bonnet line, all the way from front grille to the reverse-rolled edges of the front wings, which must be a nightmare pressing for the factory specialists, as they slip effortlessly into the aerodynamically-flowed door mirrors, which are designed to clear water spray away from the glass. There exists bags of space inside, while the outside dimensions fit perfectly with other upper-medium sector rivals. However, while comparison with equivalent BMWs, Mercs and Audis, perhaps even Jags and Lexuses, is inevitable, it is also irrelevant. Volvo IS Volvo. It is above those meagre comparisons and every signpost is wrote large. I love this car! I guess that I had better start saving. Conclusion: To be frank, this is the Volvo that truly cuts the mustard, in a range that is genuinely a cut above the rest. It delivers on all counts and performs so supremely off-road that you might question the entire SUV movement, as I do frequently.